BSAA executive board made their formal application on 15th July 2015 for BSAA registration. The BSAA team along with appointed lawyers managed to successfully complete the formalities and received approvals from the Ministry in February 2016. The BSAA takes this opportunity to thank all its members involved in this process for their valuable time and input. A committee was also appointed during the Kick Off meeting for the Launch party. 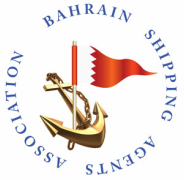 With the aim of BSAA being the official voice for shipping agents for the kingdom of Bahrain, a discussion was held with APMT. This is big step forward in par with International best practices being followed. Soft discussions were made with APMT, in order tackle industry challenges in the Kingdom of Bahrain.